Spoiler Alert – If you haven’t seen the movie plot summary ahead. 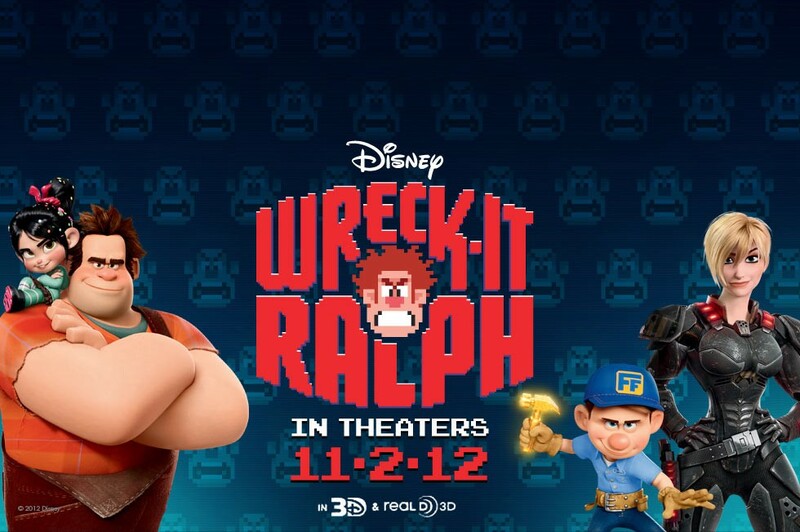 Wreck-It Ralph is lonely, outcast and tired of being the bad guy. After 30 years of watching good guy, Fix-It Felix, Jr. be a hero and welcomed by the other peeps in the game, he decides to do something about. Ralph lives in the dump and is all lone each night when the arcade closes. He leaves the game in search of a medal. When Hero’s Duty, new person shooter game arrives, Ralph sees it as his ticket to heroism and happiness. He sneaks into the game determined to win a medal. Ralph succeeds in winning a medal but accidentally unleashes a deadly Cy-bug that threatens wipe out every game in the arcade. When Ralph attempts to return home he crash lands into the cart-racing came Sugar Rush. Ralph loses his medal to another outcast Vanellope von Schweetz. Vanellope is deemed a “glitch” by King Candy the ruler of Sugar Rush. Vanellope wants the medal because it looks like a gold coin. A gold coin is the required entry fee in the weekly cart race. King Candy is determined to prevent Vanellope from entering the race. For some strange reason he must prevent her from winning the race. He claims she was a mistake and shouldn’t even exist. Felix goes searching for Ralph because without Ralph their came is out of order and will be shut down. In a moment of depseration Ralph sees Vanellope’s picture on the cabinet of Sugar Race and learns that something is wrong in King Candy’s the explanation. It turns out that it is King Candy not Vanellope who doesn’t belong in the game. King Candy was is really Turbo from another racing game. When his game was shut down, he ended up in Sugar Race. He manipulated the plot and game peeps into believing his version of reality. I am not a mistake. I was created in God’s image, He has a plan and purpose for my life. He hasn’t forgotten about me. God loves me.